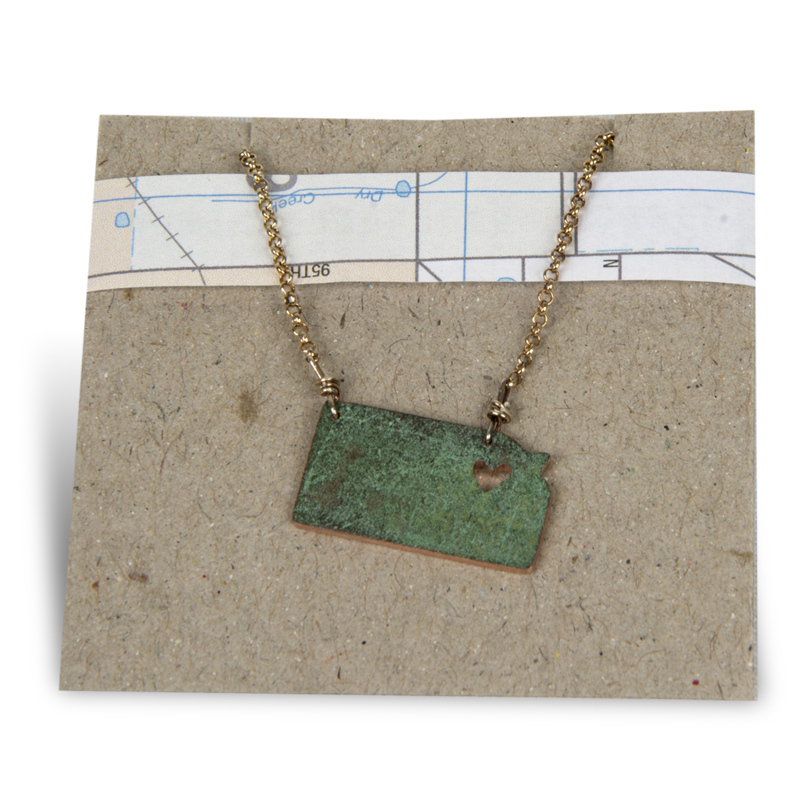 This green copper pendant on a chain is shaped like the state of Kansas. The pendant, with a heart-shaped cut-out in the capital city where the copper was located, is a beautiful memento. The original green copper on the roof of the Kansas State Capitol was replaced in 2013. The copper was made available to the Kansas Historical Society and Kansas Historical Foundation for use in products to be sold in the Capitol Store. By Bailey Marable of Topeka, Kansas.